Offer Period: September 1, 2018 to September 30, 2018 (both days inclusive). Cashback will be credited as Amazon Pay balance within 15 days of the order date. You can view your available Amazon Pay balance on http://www.amazon.in/viewsta...nt . This Amazon Pay balance is redeemable across products on Amazon.in and partner sites. What happens if I am eligible for other UPI or RuPay offers on Amazon.in? This offer (“Offer”) is provided to you by Amazon Pay (India) Private Limited (“APIPL”) and made available to you on the Amazon.in mobile website and the corresponding mobile application (collectively, “Amazon.in”) by Amazon Seller Services Private Limited (“ASSPL”). These Offer terms and conditions (“Offer Terms”) are in addition to Amazon.in Conditions of Use & Sale and Privacy Notice to which you agree to by using Amazon.in. To the extent the Conditions of Use & Sale are inconsistent with these Offer Terms, these Offer Terms shall prevail with respect to the Offer only. This Offer is valid from September 1, 2018 to September 30, 2018 (both days inclusive) (“Offer Period”), unless extended or revoked by APIPL in its sole discretion, without any prior notice and without any liability. will be eligible to receive Benefit (defined below) under this Offer, provided that: (i) the order for such Product(s) should not have been cancelled by such customer or the seller; or (ii) the Product(s) should not be returned or refunded by the customer. Each such customer is hereinafter referred to as “Eligible Customer”. Each customer who successfully undertakes the steps mentioned in Section 4 above will be entitled to receive cashback for an amount equivalent to 10% of the order value of the Product(s) (inclusive of taxes), subject to a maximum cashback of INR 50 (“Benefit”). 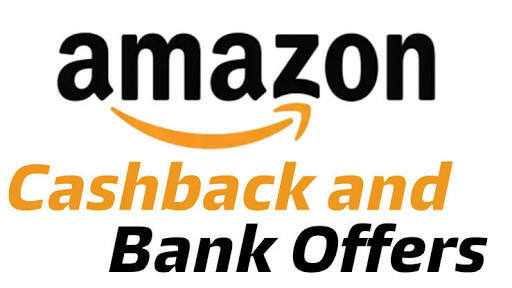 The Benefit will be credited to the Eligible Customer’s Amazon.in account in the form of Amazon Gift Card(s), issued Qwikcilver Solutions Private Limited that are redeemable as Amazon Pay balance associated with the customer’s Amazon.in account. The use and redemption of Gift Card and the use of Amazon Pay balance is subject to the applicable terms. Each Eligible Customer can avail this Offer only once during the Offer Period, i.e. the first time he meets the eligibility criteria set forth in Section 4 above during the Offer Period. The Benefit will be credited in the Eligible Customer’s account within 15 days of completion of purchase transaction in accordance with Section 4 above. In case the Eligible Customer is eligible for other offer(s) and is entitled to benefits under such other offers, such Eligible Customer will be deemed eligible only for the offer under which the benefit available to the Eligible Customer amounts to the maximum. Notwithstanding anything contained in these Offer Terms, this Offer is not applicable on the purchase of the following excluded / ineligible products: mobile recharges, bill payments, load of Amazon Pay balance or gift cards (including Amazon Gift Cards). APIPL reserves the right, at any time, without prior notice, without liability, and without assigning any reason whatsoever, to add/alter/modify/change or vary all of these Offer Terms or to replace, wholly or in part, this Offer by another offer, whether similar to this Offer or not. This Offer is not available: (a) if the payment for the order of the Product(s) is made using a payment method other than either of the Eligible Payment Methods (such as Amazon Pay balance, debit card, credit card, net banking or pay-on-delivery etc. ); or (b) on purchase of the ineligible / excluded products; or © on purchase of Product(s) if multiple payment methods are used to pay for the purchase transaction, even if one of the payment method is one of the Eligible Payment Methods. Under no circumstances, will the Benefit under this Offer be settled in cash in lieu thereof by APIPL and/or ASSPL. Any query / issue in relation to the Benefit or this Offer will be entertained only up to November 15, 2018, and can be directed at Amazon.in Customer Support. Post such date no communication will be entertained regarding this Offer or Benefit. By availing this Offer, every Eligible Customer expressly agrees that neither ASSPL nor APIPL (or any of their affiliates) will be liable or responsible for any loss or damage whatsoever that a customer may suffer, directly or indirectly, in connection with this Offer. Nothing herein amounts to a commitment by ASSPLand/or APIPL to conduct further, similar or other offers. These Offer Terms are governed by the laws of India and the courts at New Delhi will have exclusive jurisdiction over any matter or dispute in relation to this Offer. This Offer is by way of a special offer only for customers who make payment using either of the Eligible Payment Methods. Any person availing this Offer will be deemed to have accepted the Offer Terms.